21st. of September is The International Day of Peace. An 8 sided Pole which holds 24 Plaques. 3 on each side. English, Aboriginal, Maori, Japanese, Finnish, Gaelic, Druid, Runes, Greek, French, Guarani, , Tuscarora, Urdu, Chinese, Russian, Tsalgio, Spanish, German, Iroquois Nation , Lakota / Sioux Nation . Czech Republic. N.A. Blackfoot Nation. Tamil . Turkish. 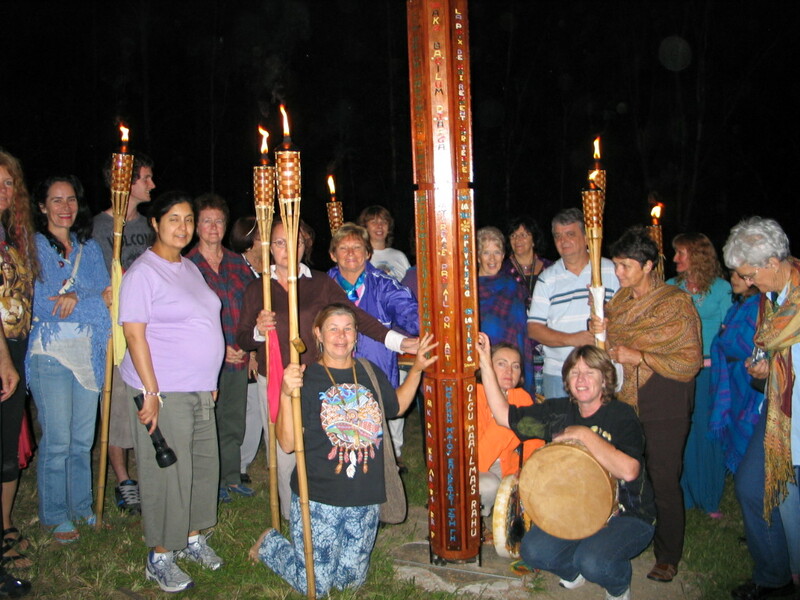 A Peace Pole is an Internationally recognized symbol of the Hopes and Dreams of the entire Human Family. There are more than 250,000 Peace Poles in 180 Countries, proudly standing in silent vigil for world peace. John Denver, and many Mayors, Clubs and Associations. In 1981 the United Nations General Assembly passed a Resolution 36/67 declaring an International Day of Peace. In 2001 the United Nations General Assembly adopted a new Resolution declaring September 21st. of each year as The International Day of Peace. Inviting all Member States, and organizations to commemorate the International Day of Peace, in an appropriate manner through education and public awareness.. The Peace Fire is also lit to Pray for Peace around the World. Now the Pole is complete further Plaques can be engraved and placed on the walls. 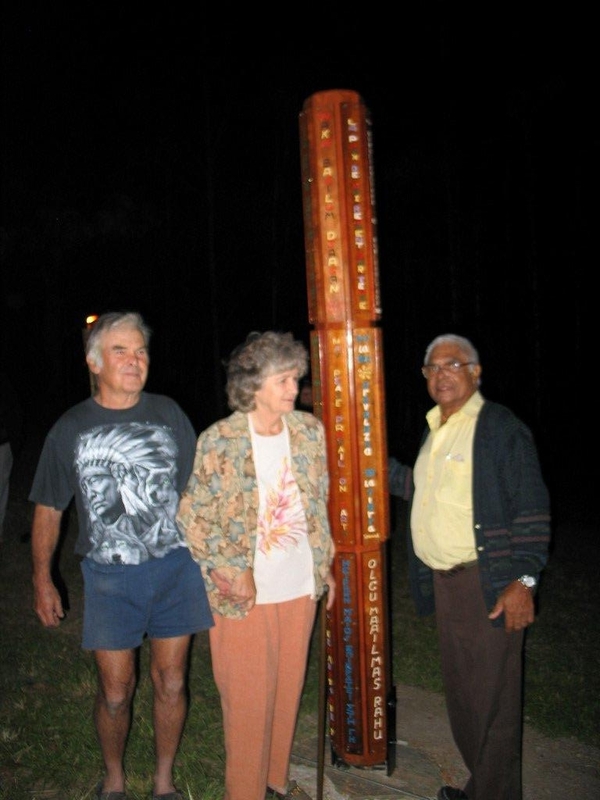 Aboriginal Elder Uncle Tex Chapman who blessed our Peace Pole with Des and Maureen 2007. Uncle Tex passed away 15th. February 2010.